We have a particularly packed update for you today, with news of holiday activities, upcoming content, store discounts and new faces on the team. Grab yourself a comfy chair and dig in! Our Team Size Just Leveled Up! Please welcome the latest addition to the theHunterClassic team, Carolina! My​ ​name​ ​is​ ​Carolina​ ​and​ ​I​ ​have​ ​recently​ ​joined​ ​theHunter​ ​Classic team​ ​as​ ​an​ ​art​ ​intern​ ​from​ ​FutureGames​ ​where​ ​I​ ​study​ ​3D​ ​art. 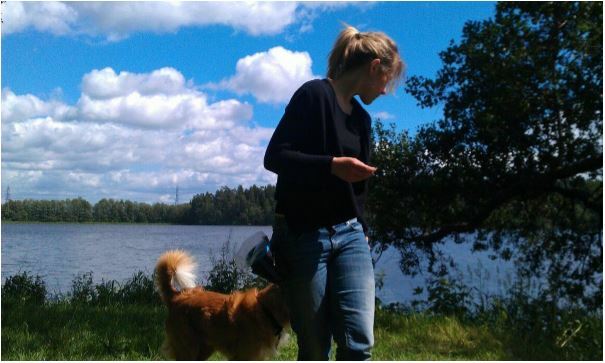 Besides​ ​drawing,​ ​doing​ ​3D​ ​stuff​ ​and​ ​playing​ ​games​ ​I​ ​enjoy​ ​taking​ ​walks​ ​and​ ​train​ing ​my​ ​dog. It​ ​is​ ​a​ ​Toller​ ​(Nova​ ​Scotia​ ​Duck​ ​Tolling​ ​Retriever)​ ​and​ ​he​ ​is​ ​full​ ​of​ ​energy​ ​and​ ​loves​ ​agility! I​ ​am​ ​very​ ​excited​ ​to​ ​join​ ​this​ ​awesome​ ​team​ ​at​ ​Expansive​ ​Worlds​ ​and look​ ​forward​ ​to​ ​working​ ​with​ ​everyone! Winter (Holiday Event) Has Come. What would Winter be without traditions? We all have our own to look forward to, but one thing I think we all share is our annual Holiday Event! The event went live today and consists of a whole host of competitions, missions and store sales to keep you busy during the dark depths of winter (or well, not so dark for our fans in California perhaps, but you get the mood I’m conveying!). Prizes range from in-game consumables, deployable towers, or even something really special, an as-yet unreleased 9.3x74R O/U Break Action Rifle! First place gets an extra cherry on top in the form of the also unreleased 1.1-8×30 Rifle Scope to go with their new weapon. Oh, and there’ll be trophies, lots of trophies! We kick things off with the “I’m Dreaming of a Whitetail Christmas” mission, so grab your weapon of choice and go bag some! For our traditional holiday present this year our artist Johan made a special profile image, but you will have to work for it a bit. As soon as you get 80 000 jollyPoints, it’ll be unlocked in your Profile settings. Enjoy! Remember, new activities and item sales kick off daily, so be sure to check-in! Best advent calendar ever? In the theme of “giving” we are crediting all players with 2 days of premium license time to compensate for recent server issues. We hope things will go a lot smoother for you all in the run up to holidays, apologies for any inconvenience caused. The work on our next reserve is coming along nicely (no, we can’t give you a release date just yet, but soon! ), so we thought to give you a sneak peek at what’s to come, along with Q&A from some of the folks that are working to make it one of our most beautiful yet. You’ll get a mix of some alpha in-game footage along with some animations and images straight from our artist’s tools! Next we have another new species, in an entirely new setting! 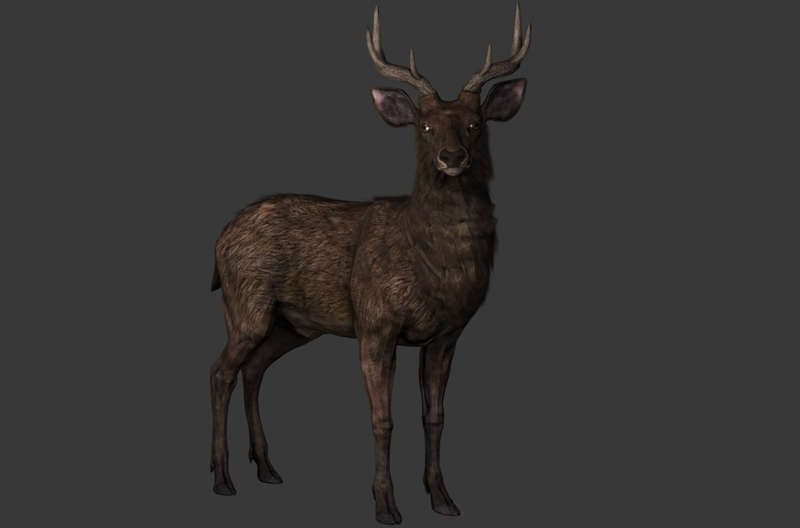 Feast your eyes on the graceful sambar deer, set in our new tropical forest environment. What research do you do to look for realistic poses or color tones for animals? Moe: Before I start animating I take a couple of days to gather pictures & video references on how the animal moves and behaves, I also look into the animal skeletal shape and try to get it as accurate looking as possible. What has been your favorite part of working on the new tropical forest reserve? What has been the trickiest part to get “just right”? Moe: SWIMMING COWS! It took a lot of time to figure out how Water Buffalo behave in the water, it wasn’t easy to find good & clear video references. And finally, what part of community interaction helps you most with your job? Moe: Reading through our forums is very helpful, many of our community members are real life hunters and they always push us in the right direction. Big thanks to Moe, spectacular work as I’m sure you’ll all agree! Now we have some contributions from Cecilia, a Character Artist on theHunter Classic team. 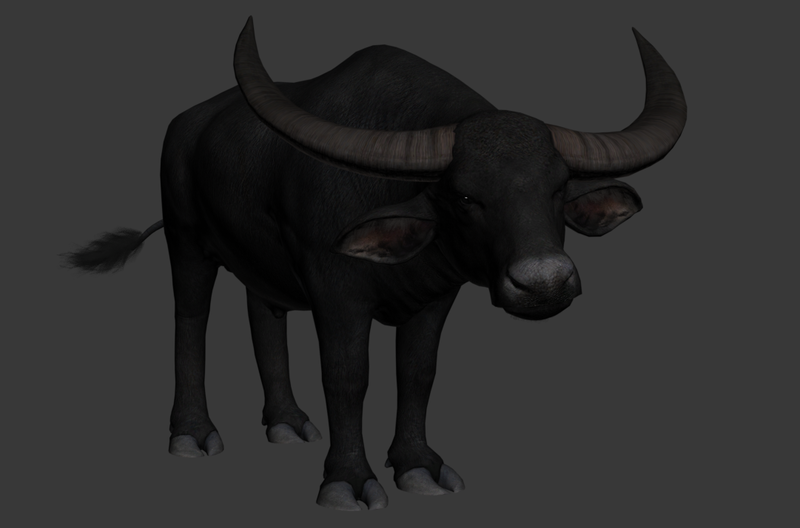 In order of appearance, the Sambar Deer, Rusa Deer, Banteng, and then finally the water buffalo. Again, these are taken direct from the tools Cecilia works with daily. Cecilia: I try to find find good references, about 15+ images per gender, with at least one image per color variation. 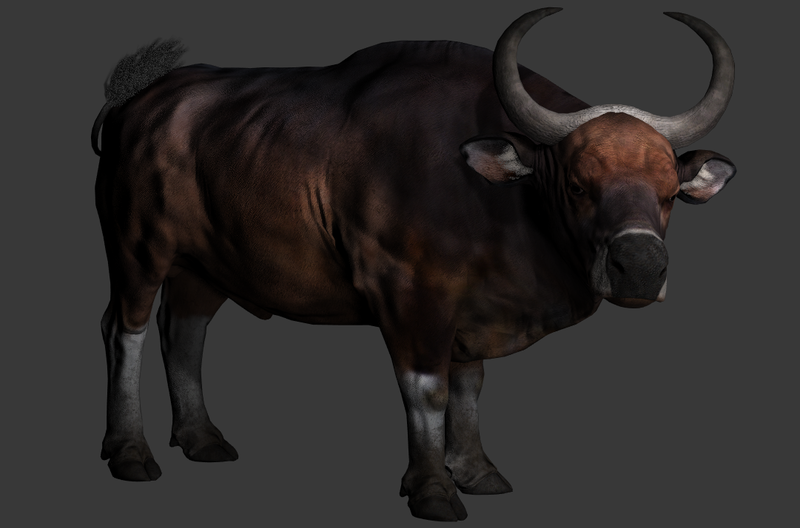 Then I project the textures onto the animal to get the correct colors and clean them up. Once the animal is in-game, I tweak the colors if they appear too dark or too bright. Cecilia: The fur direction of the animal and finding good reference where the animal looks beautiful. What part of community interaction helps you most with your job? Cecilia: I’m inclined to agree with Moe! 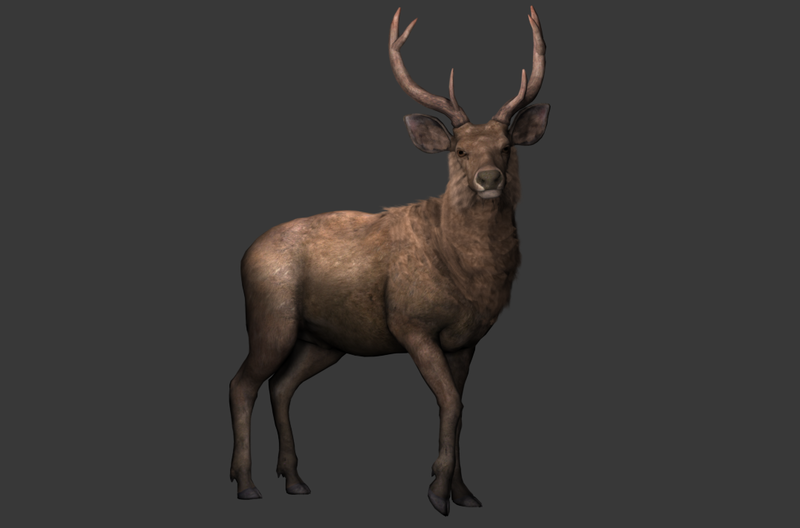 The comments made by real hunters on our forums really helps us replicate animals in the setting of our game. Want to See All of This In Action! On the topic of streaming, we’ll be kicking up the frequency a little in the run-up to the holidays as Mat gives you some advice on completing our daily missions. Hit that “Follow” button on twitch so you can get notified when we go live! And You Want to Name the Reserve Too?! Lets see what you have! Have a great weekend everybody, we sure have an exciting week to look forward to. Please join in the discussion about today’s Status Update here. This entry was posted in Status Updates, Uncategorized by Graham Murphy. Bookmark the permalink.